Trade show graphics, portable banner stands, display units, literature racks, portable tv stands, and more. We ship our displays throughout Canada. Our banner stands are top quality, lightweight, durable and easy to setup. The roll-up banner stand has become one of our most popular display system as they are very portable, versatile, and affordable. 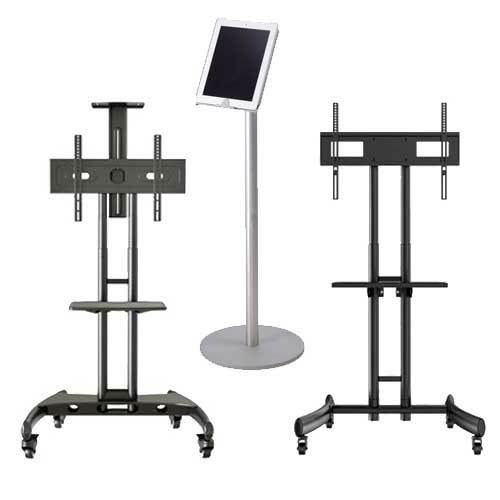 Easily combine 2 or 3 stands to form one complete booth display. Custom printed table covers, table throws and table runners for your trade show display or special event needs. These make a great presentation piece to add to your table top display or any other display at trade shows, meetings, conferences and show rooms etc. Available in many standard sizes in anodized silver and black colours. The integrated snap technology provides fast and easy poster changeability. Snap frame features include: innovative design; easy to use; mitered or rounded corner design. Info pole can be provided with optional brochure holders and also are available in double sided configurations. Info-Poles are great for corporate offices, retail stores, banks, sport arenas, community centers and any other business institutions. Looking at hosting an outdoor event? Or exhibiting your products at both indoor and outdoor events? We’ve got the solutions for your display needs – from large banner displays, a-frames, billboards and more. 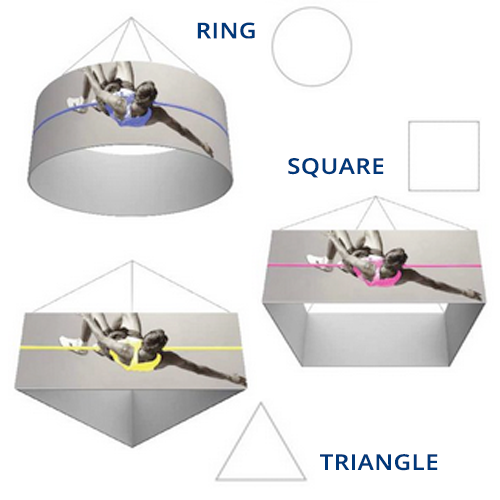 Fabric Pop-Up Displays and Fabric Tension Structures (both floor models and table-top displays). These products are designed for quick and easy setup, are very light-weight and also easy to travel with – made to create a stunning display! Excellent portable counter top display and tower units for promotional events, trade shows, supermarkets, malls, events, reception areas & more. Easy to transport, setup & assemble. Formulate® fabric hanging structures are a range of standard, simple, and elaborate hanging structure shapes. The customary, economy aluminum tube frames feature bungee cords. Velcro® compatible fabric finish allows for full customization with a wide range of graphics. 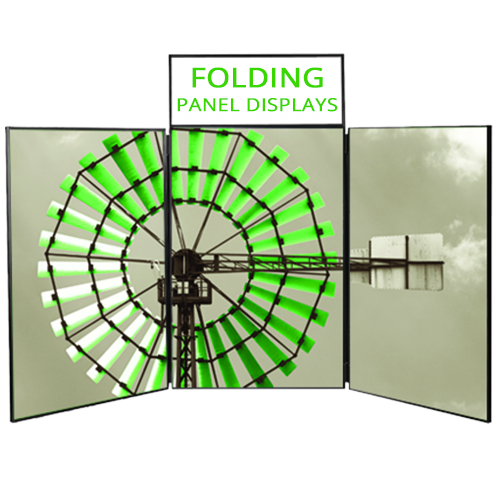 Fold in to easy to manage, portable displays that allow for fast setup and take down. Check out our trade show display lights – ideal for banner stands, pop-up displays and just about any other type of display unit. We also have different shipping / carry cases available. Step-up your trade show booth with our interlocking carpet tiles. These are very easy to assemble and offer a great anti-fatigue solution. Take a look at some of our available displays. Showing spectacularly crafted displays for all your needs such as portable banner stands, display units, literature racks, portable tv stands.